The short story Astronomer’s Wife by Kay Boyle, begins with Mrs. Ames or Katherine Ames, the astronomer’s wife daily routine. She lays down her mat and does yoga before drinking coffee and setting out for the day’s activities. Her husband Mr. Ames, the astronomer, is still in bed tossing and turning or just pretending to sleep. Mr. Ames is distant from his wife and rarely speaks to her about anything. He just lives in his own astronomy world and dreams of only the things above “…at times he lay still for hours, at others he sat upon the roof behind his telescope, or wandered down the pathway to the road and out across the mountains (Boyle 28).” On this fateful morning, a plumber arrives at Mrs. Ames home to fix a spill. As usual, Mr. Ames is disinterested and continues sleeping. Mrs. Ames who is starved for attention gets acquitted with the plumber. The plumber quickly notices her beauty and youth and also realizes that she is starved for attention and care “the plumber himself looked up and saw Mrs. Ames with her voice hushed, speaking to him. She was a youngish woman, but she had forgotten. The mystery and silence of her husband’s mind lay like a chiding finger on her lips” (Boyle 28). The plumber, in the course of fixing the apparent drainage problem takes advantage of the astronomer and endears Mrs. Ames. He speaks to her in a manner that Mr. Ames never spoke to her “here was a man who spoke of action and object as simply as women did! …” (Boyle 30). There are several themes that arise from this story. Love in marriage however is the central theme in this story. Mr. Ames is too concerned with his passion in astronomy that he forgets to spare any attention to Mrs. Ames. He rarely speaks or even listens to her. He is also totally unconcerned with everything that goes on in his villa “at times he lay still for hours, at others he sat upon the roof behind his telescope …” (Boyle 28). When the plumber arrives in the morning to check out the drainage, Mr. Ames ignores him and continues sleeping albeit just pretending to be asleep. He however mockingly calls his wife asking whether there was a problem that worth or the trouble “… Katherine!” said the astronomer in a ringing tone. “There’s a problem worthy of your mettle!” (Boyle 30). This shows that Mr. Ames did not love his wife. For a marriage to succeed and blossom, it is necessary that the wife and the husband engage in together to make it a success. It is important to cultivate love and friendship as well as respect and other virtues that require a marriage to thrive. The parties in the marriage, that is the husband and the wife, need to give each other ample attention and understand each other’s needs and wants. They also need to work towards meeting these needs to sustain their marriage. In Mr. and Mrs. Ames marriage, the husband and the wife are like two strangers living in the same house. Love is lacking in this marriage. Mr. Ames is too drawn to astronomy that he forgets to give his wife any attention. He is aloof and cares less of Mrs. Ames needs or wants. To him, Mrs. Ames is just another woman who happens to be his wife. There is also lack of respect between Mr. and Mrs. Ames. Mr. Ames considers his wife to be intellectually less stimulated. 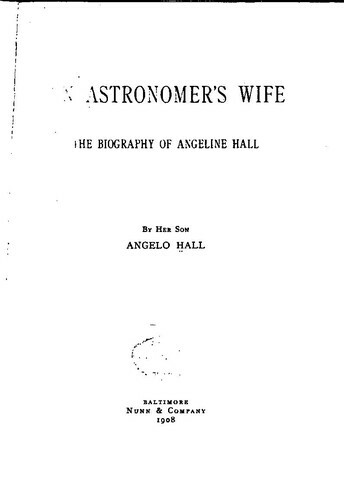 He thinks that his knowledge of astronomy is beyond the comprehension of his wife Katherine. He thus fails to see the need of speaking to her of his escapades as an astronomer. To him, Katherine is just a wife. He is a professor whose knowledge is beyond comprehension of the common folk. Katherine on the other hand considers him dumb and lazy. She fails to understand why a man would just sleep hours on end or just sit behind his telescope doing nothing. Their perception of each other brings misunderstandings and thus the conflict between them. There is the minor theme of epiphany. When the plumber arrives and gives too much attention to Mrs. Ames, she suddenly realizes what she has been missing in her marriage. She realizes that there are different types of men other than her emotionally detached and aloof husband “Whereas her husband had always gone up, as the dead go, she knew now that there were others who went down …” (Boyle 31). The marriage between Mr. and Mrs. Ames gets shaky as soon as the plumber gets acquitted with Mrs. Ames. The root cause of the problem though is the ill relationship that has been between the two for a long time, primarily caused by Mr. Ames distantness. The plumber is kind of a breakthrough to Mrs. Ames as she realizes her worth as a woman due to the attention the plumber gives her. It is apparent that there is going to be an affair between the plumber and Mrs. Ames, which is wrong and which will subsequently lead to the collapse of this marriage. Spanier. Michigan: University of Michigan, 2006. (27-33). Print.